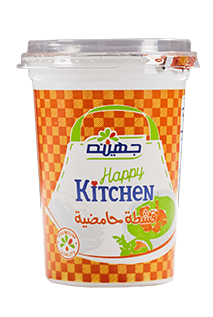 Our “Happy Kitchen” products are the first choice when preparing tasty flavorsome dishes. It is the ultimate source of inspiration, “The muse” in the kitchen. Using the range broadens the horizon when concocting creative recipes that delight the whole family’s taste buds. Our cooking cream makes the experience of cooking more efficient, whether to use in pasta sauces, soups, or accompanying gravies. 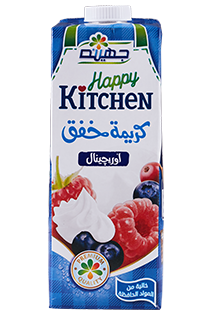 Available in 200 gm, 1/2 Liter, and 1 Liter packaging. Launched in 1999. Our whipping cream is designed to enhance and ease the preparation of desserts, whether used to decorate desserts or to top hot drinks, it has enjoyed continued success over the years. 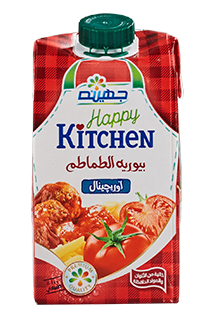 Tomato puree comes as our latest edition to the happy kitchen in 2017. 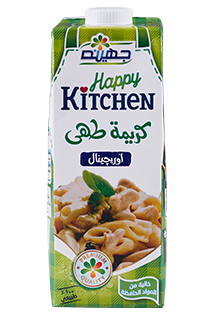 Making our happy kitchen a great experience for the whole family. Our Sour Cream is a product that has maintained a frontline position in the market amongst others of its type. 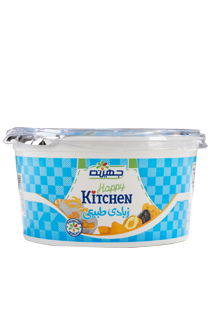 Available in 450 g and 200 g packaging, it has a shelf life of 14 days from the date of production.